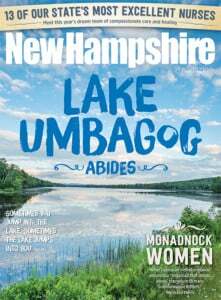 Public passion, prosecutorial gusto and a convergence of odd, tragic circumstances have put New Hampshire, the live-free-or-die state, on a legal path to executing a man – something it hasn't done since 1939. It undoubtedly will be a long, complicated and uncharted process full of legal, moral and practical considerations. While the capital law statute, which allows the sentence of death for several specific crimes, has been on the books for 36 years, it has never been used. The state's Attorneys General have been practical – relying on a tough, back-up "life without parole" law for all first-degree, premeditated murder convictions. All that changed in the fall of 2006, when a young, ambitious Attorney General (Kelly Ayotte, who is now in the US Senate) boldly brought two capital murder charges simultaneously. It was an audacious move for a staff with no capital murder and limited first-degree murder trial experience. The cases couldn't have been more different, and remain at the core of the moral debate over the death penalty. The cases against Michael "Stix" Addison and John "Jay" Brooks were as different as the men themselves. Addison is young, black and poor with a record of wreaking havoc on his family, classmates and, as he matured, society. Brooks is old, white and rich with a clean record except for one spectacular exception. A millionaire businessman, at one point he considered running for governor. "In 277 years New Hampshire has executed just 23 people – just three in the immediate past two centuries." Addison gunned down Manchester police officer Michael Briggs as he attempted to arrest him while on a violent crime spree. It was not their first encounter; years before, Briggs, as a first responder, tended to a gun-shot wound to Addison's chest and possibly saved his life. A jury sentenced Addison to death and presently the state Supreme Court is considering an appeal. Brooks hired two men to help him bludgeon to death a handyman, Jack Reid, who he believed stole two motorcycles from him. The dispute and deadly plot had been hatched over a period of several months. A jury found Brooks guilty but did not sentence him to death. One of his attorneys, Monica Foster, said afterward, "He's not the kind of people juries routinely kill." Death penalty opponents like Manchester attorney Michael Iacopino, a former public defender who served on the state's death penalty study committee, says the contrasting sentences say it all. "The Addison case," he says "is intertwined with everything that is wrong with capital punishment. A rich, white, millionaire hired and perpetuated a murder and his life was spared. A poor, black man who couldn't afford as strong a defense is sentenced to die." Concord attorney Chris Carter, who represented Brooks, disagrees. The former Senior Assistant Attorney General says the death penalty is "only used in the worst of the worse cases." He adds that you have to understand what the jury needs to hear and see before sending someone to death. There is a "spectrum of gravity" and criminal history. There is also the law itself and the culture and history from which it grew. The state has had little penchant for pursuing capital punishment charges – even when cases seem to meet the definition, like in 1996 when Richard Buchanan was sentenced to life without parole for killing a 6-year-old Hopkinton girl (DNA evidence later exonerated him) and in 1997 when Gordon Perry and Kevin Paul had an equal fate for killing an Epsom police officer. In 277 years New Hampshire has executed just 23 people – just three in the immediate past two centuries. One death row inmate in 1934 convinced the Governor and Executive Council to commute his sentence. A death penalty trial hasn't occurred in 54 years and presently there is no chamber to administer lethal injection or hanging if that fails as the law prescribes. In 1977 the state rewrote its capital murder statute to remedy the 1972 US Supreme Court ruling that capital punishment was not carried out arbitrarily. The result was an exhaustive sentencing process that provides greater protections for the defendant than any other capital sentencing laws in the country. "There is very little history of the use of this statute," Carter says. Possibly this is because the statute is doing its job – providing prosecutorial discretion, safeguarding the rights of the accused and empowering the jury system. The law gives the jury the option to use capital punishment and provides that the state must provide "aggravated reasons" for death and the defense "mitigating reason" against it. The state's evidence must reach a higher standard (beyond a reasonable doubt) than the defense (preponderance of the evidence). To put it in simple terms, the state's threshold of certainty is 100 percent; the defense a simple majority. Then, the jury must consider both and make a judgment as to which side has the most reasons, but even if the rubric indicates death, they are not required to follow it. And it only takes one juror to cause a hung jury and there are no retrials. In addition, the state's history of a strong public defenders system shows that New Hampshire values human life and provides an adequate defense. Cathy Green, a Manchester defense attorney, says, "It has a real commitment to a decent defense." And this can be costly because often times the state is paying for both sides. Former Acting Attorney General Pete Mosseau, who now practices in Manchester, believes there are "cases where death penalty is appropriate," but the larger question is "What's the best charge? Do you spend $4 or $5 million on a capital offense or $200,000 or $300,000 on a first-degree charge and they'll never get out." This thinking may have perpetuated itself, but it has also left the state's legal system without much experience in capital cases. Brooks' deep pockets allowed him to leverage national experts, but since most states are moving away from capital punishment, the prosecutorial talent is becoming more concentrated in the South, where executions are more prevalent, defense laws weaker and there's more jury appetite for delivering death sentences. For now, Michael "Stix" Addison sits on death row caught up in a complicated, high-stakes game of chicken. So has NH's death penalty bill – designed to meet the demands of the US Supreme Court by protecting defendants – finally met its match?